THIS OLD HOUSE: Bedford — Nawada Landscape Design, Inc.
Jennifer Nawada Evans was selected to appear on the PBS program, This Old House as the Landscape Designer for The Bedford Project. In this series, This Old House took on one of its oldest houses to date, a 1720 Georgian home listed on the National Register of Historic Places. 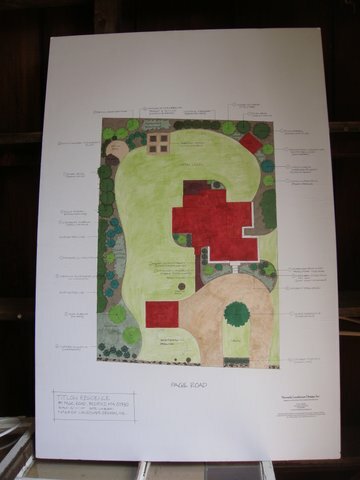 Jennifer created the Master Landscape Plan for the property to reflect and celebrate the rich colonial history of this 300 year old farmstead. The clients desired a long-term "dream plan" that would incorporate several major changes to the existing landscape. The project addressed a new driveway layout, storage shed placement, rustic stone wall restoration, locating an area for a raised vegetable garden and developing a planting plan using native, historically accurate plantings. In the series, host Kevin O'Connor meets with Jennifer Nawada Evans to review her design and discuss her plan of action. Nearly half of the back yard was cleared and reclaimed by removing the overwhelming brambles and invasive plants that have been encroaching on the lawn for years. 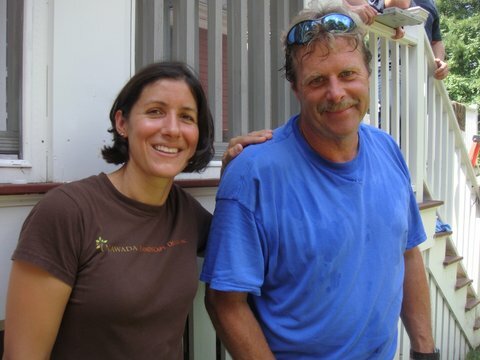 Jennifer worked together with Landscape contractor Roger Cook to implement the installation of the project.